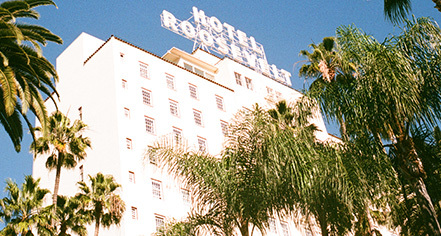 Overall, we had a pleasant stay at Hotel Roosevelt. The staff was very nice, efficient and accommodating, accepting our same-day laundry under the wire and returning to our room while we were out. The room had two comfortable queen-size beds with nice linens and the bathroom had nice toiletries.The place, however, is in need of a renovation and that is most evident in the bathrooms, where the door came completely off its hinges. Fortunately for us, the room had a sliding barn door that separated the entry with the bathroom from the rest of the room and so we used that. It was nice that they offered coffee service in the lobby every morning and the sitting area near the main entrance is gorgeous. We stayed at this Hotel for two nights in March 2019. Overall the hotel, internally was very dark. The service was very good. The staff were very attentive and keen to assist. On our arrival we were allocated a room with a four poster bed. Because it was my birthday we found in our room a bottle of Prosecco and a plate of cookies. Whilst we were there a wedding was taking place. To incorporate this function most of the Hotel was sealed off to other guests in terms of accessibility. I've never experienced that before. During the evening when this wedding function was taking place we experienced severe noise problems. Our bedroom was on the 12th Floor. Throughout the night I presume guests were singing and laughing on our floor and making regular trips to the ice machine. I did contact the duty manager, who couldn't have been more helpful. He sent security up who in turn spoke to the people who were making the noise and brought it to an abrupt end. We were also provided with a complimentary breakfast which was a nice touch. 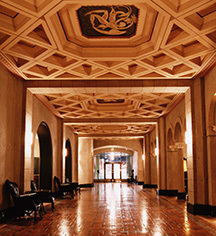 The Hotel is located on Hollywood Boulevard virtually opposite the famous Chinese Theatre. The hotel was nice. Arrived late on arrival and the room had a loud buzzing sound. Front desk immediately upgraded to a suite, which was nice. However that was when the niceness ended. First it was a $5 charge for the minibar which was not used. Second three different times saying, confirming and reconfirming parking was waived (it wasn't). Then a $148 charge for three cars to park at the hotel (yes they couldn't explain that one either). When I called to request info, they refunded $54 (including tax). Left the $90 parking fee; when I said would pursue a charge back, they challenged me to do it. No desire to want business travelers. The reservation agent sounded like this is a normal business practice. Trading on tourists' inexperience is not good business, but doing shenanigans is just wrong. Avoid this hotel. Clearly they have ulterior motivations. Loved the property. Staff are great. Stayed in King Loft Room for 4 nights. Vintage hotel rooms are tight was disappointed no dresser in room. No way to unpack completely. If staying for long time, I would choose another room or make sure there is storage in room. Thank you for joining us for your four-night stay, enjoying the elegance of our King Loft room. We appreciate your understanding of our historic building, and next time, we'd be delighted to situate you in one of our rooms with dresser drawer space, or, should you wish to remain in our spacious King Loft room, we can provide clothing cabinets for your convenience. We hope to have the opportunity to serve you again!